Lately I’ve been playing around with the Raspberry Pi and I decided to use one as a custom NAS to serve as a central backup system and as a central hub containing media for my two other Raspberry media centers (running OpenElec). To provide the actual storage, I bought myself this Seagate Expansion 3TB hard drive. I chose to install Raspbian as OS, as it seemed to be the obvious choice in terms of performance. While the Pi’s specifications won’t allow you to build the most powerful NAS in the world, it still has a lot of advantages. Energy efficient: the pi only uses 2W per hour, so all together this means a yearly cost of €5. Of course you need to add to that the energy usage of the external hard drive, which in my case is something like 9W. In total this means a yearly cost of of +/- €20. This is far less than any other NAS system. Small: the pi is a pocket-size computer, so it fits anywhere. USB 2.0: while my external hard drive has a USB 3-0 port, the pi only has 2 USB 2.0 ports. This limits the maximum transfer speed. LAN 100Mbps: if your other network devices have gigabit-speed (or better) lan ports, the transfer speed for reading/writing to your raspberry pi NAS will be limited. I started by formatting and encrypting my external drive on my Ubuntu box. I chose ext4 as filesystem. Then I connected the drive to my Raspberry Pi, using one of the 2 USB ports. In the meantime I found this post by Reinhard Seiler, telling that Truecrypt doesn’t come precompiled for the Raspberry Pi, so I needed to either compile it myself or use the compiled binary available on his blog. So I downloaded the binary from his blog and tried to mount my drive using the compiled Truecrypt binary. 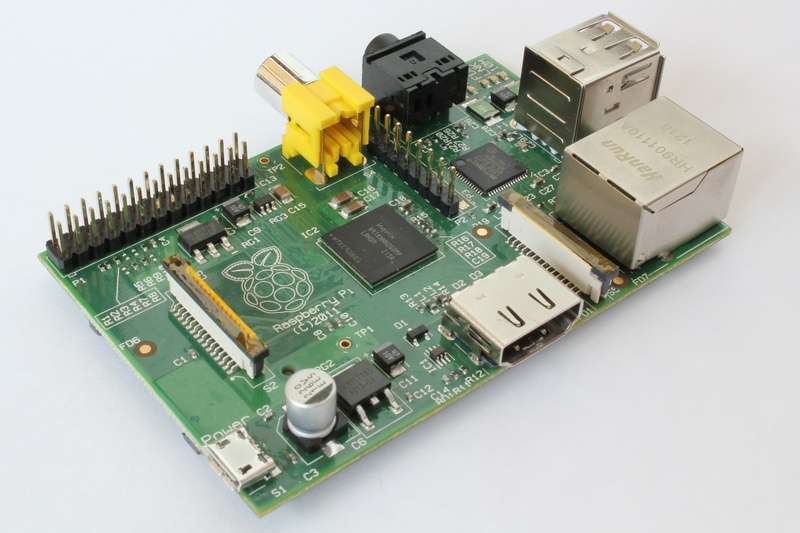 Raspbian does not provide some necessary kernel modules for encryption, so you need to use the flag -m=nokernelcrypto to use truecrypt encryption on the Raspberry. That was when I ran into the following error message. Error: The drive uses a sector size other than 512 bytes. Due to limitations of components available on your platform, partition/device-hosted volumes cannot be created/used on the drive. – Create a file-hosted volume (container) on the drive. – Use a drive with 512-byte sectors. – Use TrueCrypt on another platform. So apparently Truecrypt on Linux doesn’t support hard drives with a sector size other than 512 bytes while my brand new external hard drive had a sector size of 4Kb which seems to be the new standard for recent hard drives. The same error appeared when mounting on my Ubuntu box, so it had to be a Truecrypt issue. I then stumbled upon this post by a guy who ran into the same problem on Mac OSX. He eventually got it working by digging around in the code and compiling his own custom version of Truecrypt. This post by Karl Herrick describes well how to compile Truecrypt on the Raspberry Pi, so I decided to take a look into Truecrypt’s source code to eventually correct the issue and compile my own Truecrypt binary as well. My compiled binary is available here if you don’t wish to compile yourself. By using this custom version of Truecrypt, I finally got to mount my drive without any issues and it’s still working like a charm after a few months. The drive is operating the way it should and I have not lost any data so far.